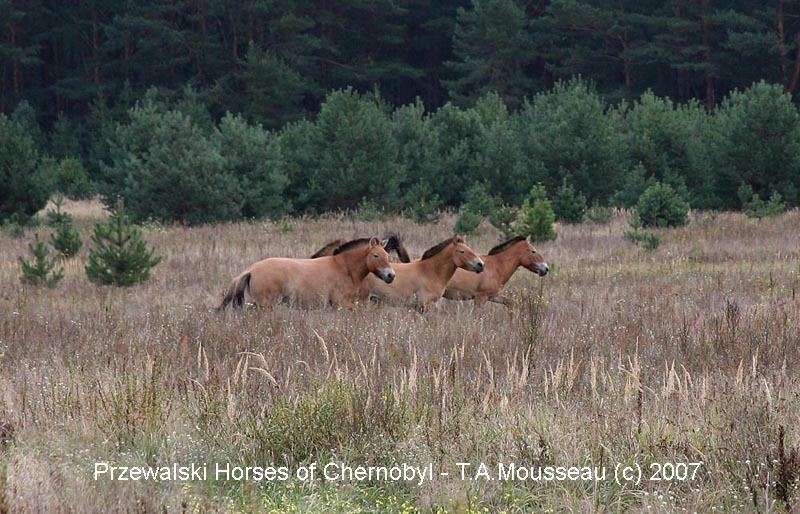 Przewalski Horses of Chernobyl – this last remaining wild species of horse on the planet is still thriving in the "dead zone"
challenges of doing good science. of the organisms is reduced. Even then, a good idea does not always attract funding. instead of worrying about quality control. test to determine which is the primary cause. which in their opinion are interesting but not necessarily conclusive. You should read T.A Mosseau’s research initiative and draw your own conclusions. You may find that his charming photos of Ukraine farm life are easier to understand. Some inhabitants are observably deformed and crippled for life. Others live with high radiation levels and are apparently healthy. This entry was posted in Chernobyl and tagged Chernobyl, mutations, przewalski horse, Robert J Baker, Ronald K Chesser, scientific method, T.A. Mousseau, Ukraine. Bookmark the permalink. Read an interesting interview with Paul Stamets recently about how some species of fungi have the ability to concentrate radiation and break down other pollutants. Mycelium Running: How Mushrooms Can Help Save the World, by Paul Stamets. Haven’t read the book yet, but it sounds fascinating.